Ian had been with United Juniors and Monifieth Tayside before he signed for United at the beginning of season 1941-42. He went on to become a regular that season. 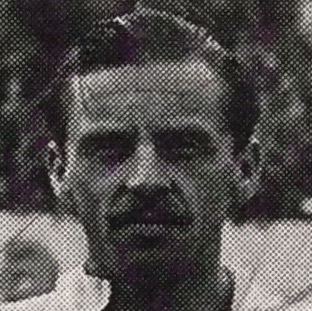 In the following season Ian remained on United’s retained list but moved to local junior side Violet and turned out for United just once more during WW2. He also appeared briefly as a wartime guest for Leicester City in September 1944. In August 1946, he was back at Tannadice and remained a United player until he was released in May 1952. Whilst with United, Ian continued in his career as an art teacher, and in August 1959 he emigrated with his family to Canada. Ian was born on this date in Kelso. Dundee Dis-United were four goals down after 18 minutes. Dundee United almost saved a point in the last half hour. That's the story in a nutshell.